​​Metro Maintenance technicians are knowledgeable in quickly troubleshooting and repairing all types, brands and models of heating and air conditioning equipment. ​Whether it’s routine maintenance, servicing or repair work, our technicians can handle anything from the simplest problems to a complete system replacement. All Metro technicians are well trained to see your job through from start to finish, making sure the system performs up to your expectations. As heating and air conditioning systems get older, they operate less efficiently and are more likely to break down. Eventually it will be more cost-effective to replace a system than to keep repairing it. Today's more efficient systems with higher efficiency ratings mean lower utility bills and a more reliable system. It is impossible to know future problems with a system, and this makes the decision to repair or replace not perfectly clear. Our technicians and estimators will give honest opinions based on their experience and the guidelines furnished by system manufacturers. The decision is always yours and we will help you reach the decision that works best for you. ​Metro Maintenance is a licensed installer of Carrier equipment, the leader in home heating and cooling, as well as most other top brands. Metro's technicians are dedicated to providing the best possible indoor climate control for you and your family. ​Heating and cooling systems run almost continuously at certain times of the year, and are by far the biggest users of energy in the home. It is a wise decision to keep them well-maintainted. Metro Maintenance offers a preventative maintenance package that includes two service inspections per year. Our technician will go through your system completely, making sure all parts are in good working order. Our goals are to make certain your system is operating at peak efficiency, reduce your utility bills, and minimize the likelihood of a breakdown. 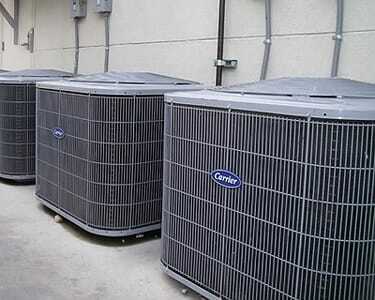 Regular inspections should also increase the life expectancy of your system. This is a Preventative Maintenance Package that includes two service inspections per year to have your system operating at peak efficiency, conserve utilities, and prolong the life of your equipment. Make Your Home Warm & Toasty! Today's gas logs are a great improvement over the conventional fireplace. They offer the efficiency of gas heat, and still maintain the look and feel of a real wood fire, complete with glowing embers, realistic logs, and natural flames. Today's gas logs are so realistic, they may require a second look to distinguish them from the real thing! Metro Maintenance offers installation services for gas logs if you are ready for an upgrade. Don't Forget to Change Your Filters! ​Change your air filter regularly. Dirty filters slow the flow of air and force your system to work much harder than is necessary. Because less air is circulated, the system is forced to run longer to reach the desired temperature. Heavily clogged air filters can even damage your system. Whether Metro Maintenance is doing minor repairs or replacing an entire system, the most important goal is to keep your home safe. For new systems, Metro Maintenance gets all permits and meets all code requirements. Metro's installers have many years of experience and work carefully to give customers a neat installation, both inside and out. All work is guaranteed!